HP has just announced a new addition to its Chrome OS-powered laptops – an 11-inch Chromebook G5. One of the most attractive features of this device is that it comes with a touchscreen-enabled display. Even though the Chromebook 11 G5 has been made public, the official sales of the device do not begin until July, which will only be happening through HP channel partners. As the device’s wider availability, potential buyers will have to stick around until somewhere in October when it will be made official in stores. 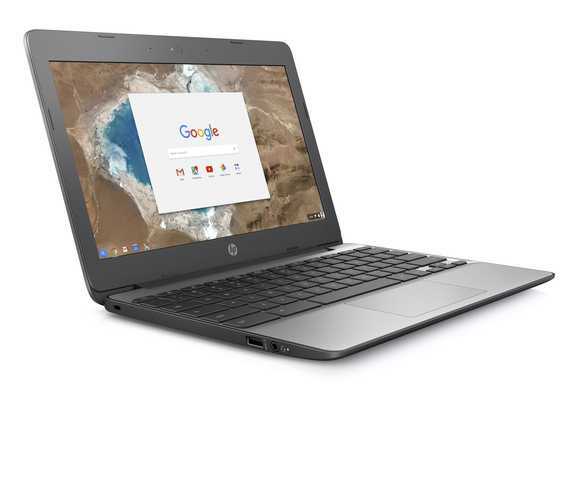 As for the price, the HP Chromebook 11 G5 will start at $189, but for this, you will be getting a device with a display size of 11.6 inches that features a sub-HD resolution. Apparently, there will also be an option for an IPS HD touchscreen panel that is protected by Corning’s Gorilla Glass. The Chromebook G5 has a weight of 2.51 pounds whereas, under the hood, it features a capable Intel Celeron N3060 processor that has a clock speed of 1.6GHz. Looking at the processor type, speed as well as price tag, there is no arguing in the point that the Chromebook 11 G5 is a mid-range laptop. Still, HP claims that the device will be powerful enough to take care of day-to-day tasks that include playing videos as well as making video calls. The tech giant also promises that this device will work more than perfectly when it comes to spreadsheets and Google Hangouts, web browsing. Chrome OS has a limited set of features and so is the Chromebook 11 G5. As a result, HP says that the laptop’s battery will be able to last up to 11 hours, which is a great thing for a device that is probably targeting students. Now that the HP Chromebook 11 G5 has gained support for touchscreen capabilities, the fact that Android apps will also be making their way to Chrome OS will make it enjoyable accessing them via the touchscreen display. If anything, this will only be extending Android’s functionality to Chrome OS.